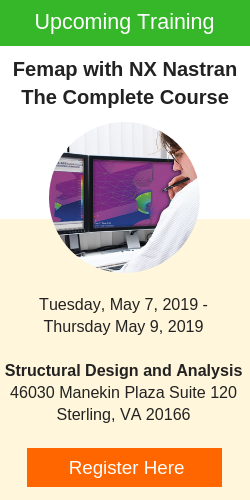 For large models with tens, hundreds or even thousands of solids, materials and or properties, the selection of a subset of those entities for display is made easy using the Select toolbar. The Selector Entity pulldown menu sets the entity type you want to control visibility of. Once you select the entity type you want to toggle the display of, the Selector Mode menu allows you to Add To Selection or Remove From Selection. 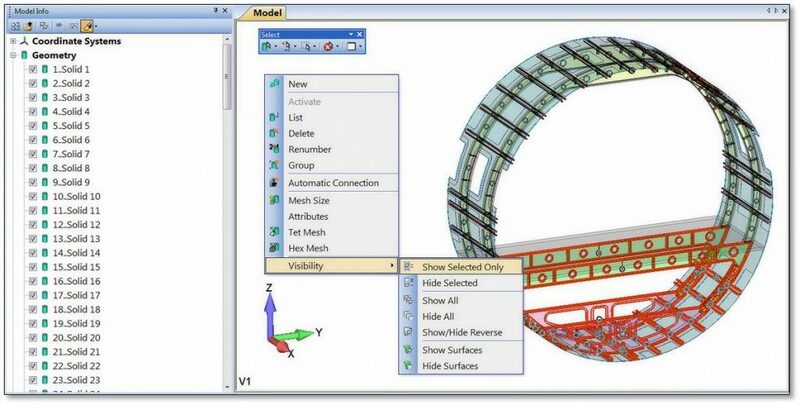 Selection modes that can be set in the Femap Graphics pane such as pick Front, Select All Inside, Show Tooltips and show Layers/Groups in Tooltips are accessible from this pull‐down menu. You can also switch from Select Single Item (Femap’s default) to Select Multiple. When you enable Select Related, any entity related to a selected entity is automatically included in the Selection List and the option for Select Multiple is automatically enabled. The Selector Actions pulldown menu gives access to selection methods accessible normally through a selection dialog box when the Select Multiple option is enabled as the Selector Mode. When the Selector Mode is set to Select Single, only the Load Group option is available before an entity is selected.  When the Selector Mode is set to Select Multiple, selected entities are maintained in the Model Info pane’s Selection List object tree until the selection list is cleared. 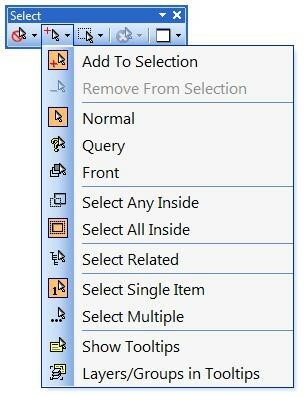 Once you select an entity or entities, the right‐click action in the Model Info pane opens a context‐ sensitive menu for the entity type set with the Selector Entity menu. 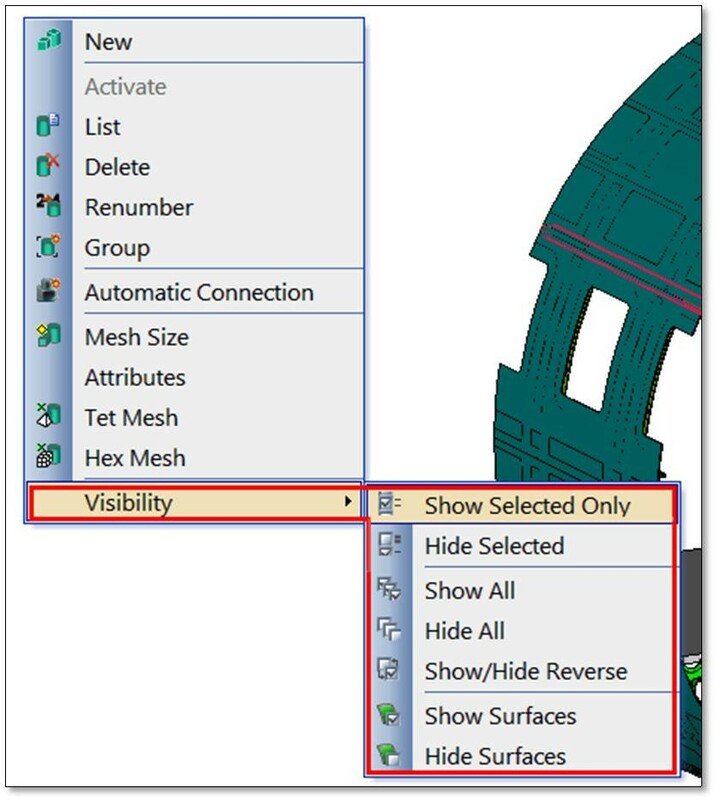 The Visibility menu allows has the same options for toggling visibility as the Visibility Toggle check boxes in the Model Info pane. Once you have the entity or entities selected and visibility set for these entities, simply click the Selector Entity icon and the selector is toggled off. 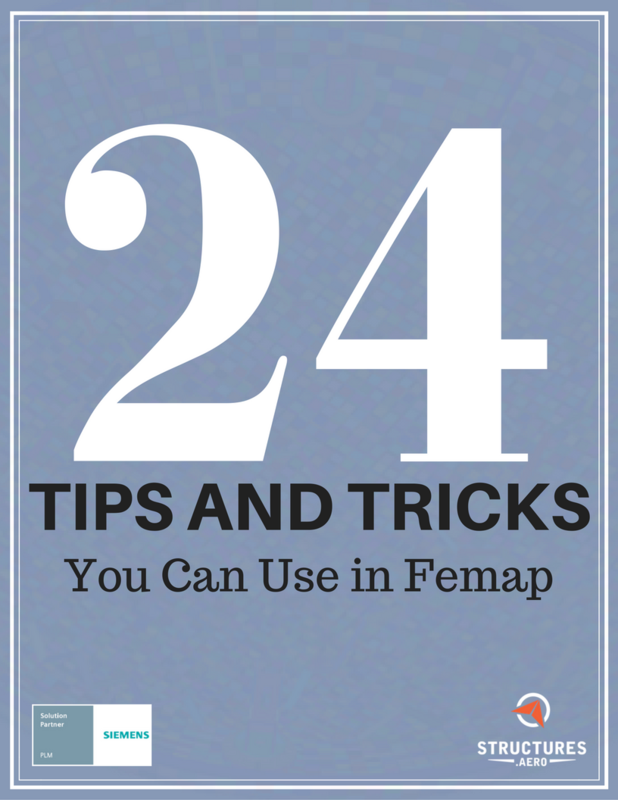 For more details on the Select toolbar, see Section 7.3.1.6 of the Femap Commands manual.